Technology isn’t everything, there is PROCESS too! I have had the opportunity to work with many different clients, groups, and businesses during my career. I’m always astonished when executives get distracted by a shiny new product and forget about what really matters – PROCESS! Don’t get me wrong, I love a new product as much as any other technologist. However, when it gets down to basics, each product requires a set of governing rules and processes to define its use. Now, here’s the fun part. You can use TECHNOLOGY to implement PROCESS! This is mind boggling – I know! One of my favorite tools is one named Quickbase by Intuit. You’ve probably heard of their QuickBooks product, but Quickbase is more like a Force.com product. I’ve used it in numerous places to help design a process and manage workflow. The architecture of the product allows you to quickly stand up the application for your needs. It also has robust features surrounding reporting, email notifications, data validation, and workflow. If you were wondering, I am not affiliated or compensated by Intuit. Use the tool that is best for your organization, but remember, it is about the PROCESS! So – the next time that you consider implementing a new product, don’t forget the PROCESS! Be it Quickbase or another tool, think through your strategy and define your process before you start down the path of implementation. You won’t regret it! If you are mid-implementation and haven’t already considered your process, it is never too late to start. You can always find merit in tracking and codifying information to guide your implementation and communicate status to your stakeholders. Beware: this takes hard work and a lot of effort, but the overall outcome is a successful one. Squeezing Value From Data – Higher Education Institutions: What do you think? Overall, I think this infographic represents a comprehensive list of some of the key challenges of big data and business intelligence. What is the most compelling bit of information in this infographic for you? I found the following two questions of particular interest. These questions provoke thought about having the right type of talent within your organization and ensure that you have achieved the right type of outcome for your end-user. A data processing speed increase question from the Economist Intelligence Unit survey conducted in March 2012. 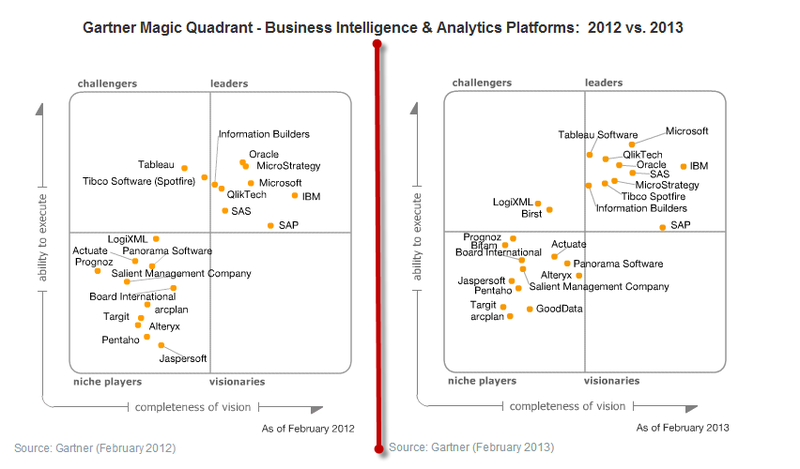 Last month, Gartner released the 2013 version of their Business Intelligence & Analytics Platform Magic Quadrant. I always look forward to the release of Gartner’s magic quadrants as they are tremendously helpful in understanding the landscape of specific technology tools. Microsoft has improved its overall ability to execute. Overall, it seems that Microsoft is moving in the right direction with their SQL Server 2012 product. I’m excited about the enhancements to Master Data Services and I like where they are headed with PowerPivot and Power Views. A full list of new features can be found at Microsoft’s website. 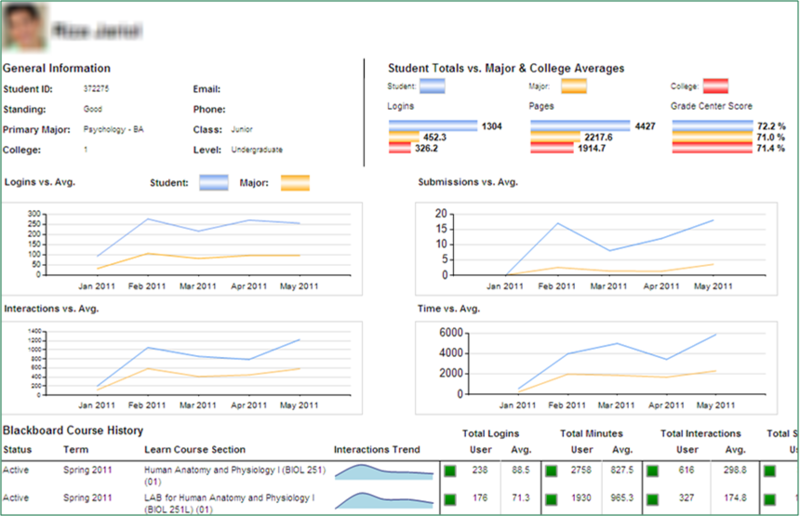 I’m a big Microsoft fan and I’m excited about Office 2013 and the impact that it will have on BI. IBM has maintained, and slightly increased, its market position. IBM continues to expand upon the features of their key acquisitions (Cognos, SPSS). 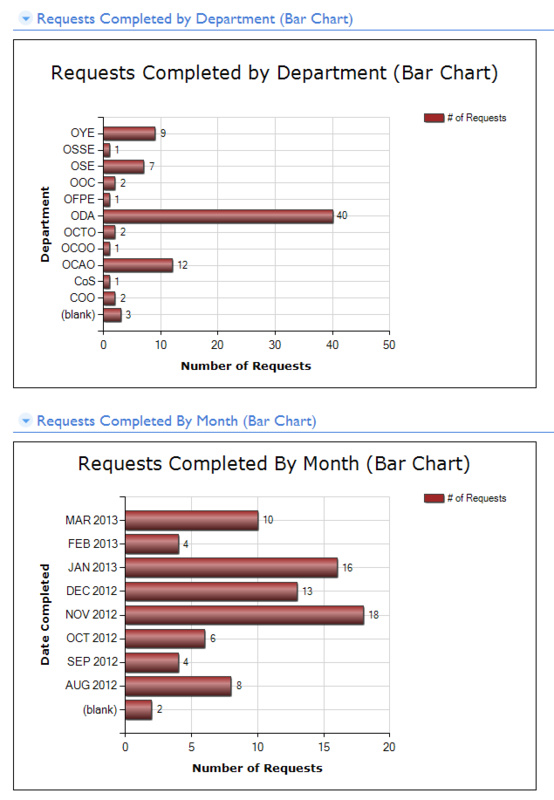 They have done a nice job of migrating customers from the old Cognos 8 platform to IBM Cognos 10.x. This has increased customer satisfaction. I also really like their Analytic Answers offering. In my opinion, BI will continue to become more service oriented – so a big applause for IBM’s analytics as a service offering. Tableau has moved into the top right square. Tableau deserves to be here and I’m excited to see this movement. Tableau’s customer support and product quality has been consistently high. They have also set a benchmark in terms of how straightforward it is to move to their platform and upgrade to the latest version release. There is plenty of competition at the bottom of the market. Niche players like Jaspersoft and Pentaho are at each others heels. Competition is healthy! The only thing that surprised me is that I didn’t see Pyramid Analytics on this list. Microsoft acquired ProClarity back in 2006. Extended support for ProClarity will soon end in 2017. Given that Microsoft has not migrated all of the ProClarity features to PerformancePoint, I am speaking to many users that are jumping ship on the ProClarity front and moving toward Pyramid Analytics. Pyramid Analytics has done a nice job to aid customers moving from ProClarity. Keep an eye out. We might see them on the list next year. If you are interested in reading the full 2013 report, you may preview the online version here.